Even people who brush and floss every day can develop cavities or chipped/broken teeth, but thankfully, restorative dentistry is able to make practically any dental issue disappear. Dr. Fifadara uses a combination of skill and advanced materials to design treatments for each patient that can bring back their smile’s function and appearance at the same time. If you have one or more teeth that have seen better days, contact us today to get the care you need. 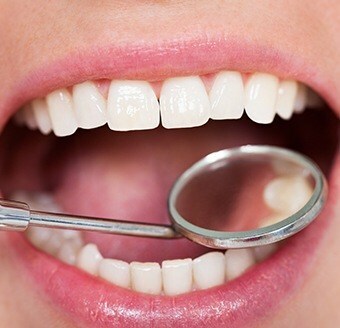 Why Choose Fulshear Dental for Restorative Dentistry? 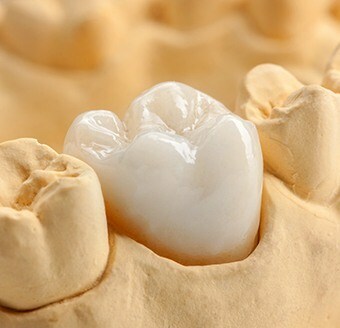 While a small cavity or minor chip might seem easy to ignore, even small problems can develop into big issues over time. Your teeth can’t repair themselves, so decay will continue to spread, and weakened enamel will crack and fracture, both leading to more pain and dysfunction. Instead of waiting for the inevitable, it’s always a good idea to get your teeth fixed to protect your future dental health. When a tooth has a large cavity or experienced severe trauma, dental crowns enable Dr. Fifadara to save it from extraction. A custom-made restoration that is designed to look just like a natural tooth is placed over damaged enamel to protect it and help it regain its full function at the same time. At Fulshear Dental, we prefer to use all-porcelain dental crowns. Not only are they strong and durable, but they have the most lifelike appearance as well. When a minor cavity strikes, a tooth-colored filling can make it look like it never existed in the first place. After removing any decayed enamel, Dr. Fifadara can replace it with a specially-shaded composite resin that fills in the space and blends in seamlessly with the rest of the tooth. The end result is a restoration no one but you or your dentist will notice. Even better, these fillings are more conservative compared to old amalgam ones, meaning Dr. Fifadara can preserve more of a tooth’s natural strength while placing them. For patients in need of extensive dental work due to either neglect or a traumatic accident, Dr. Fifadara is ready to give them hope. Thanks to her experience, she’s able to handle even the most complicated dental cases. If you’re dealing with several missing/broken teeth, she can put together a personalized treatment plan that combines multiple procedures into one smile rejuvenating experience. With it, you can reclaim both your bite and confidence at the same time.